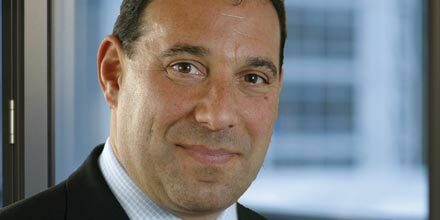 London & Capital chief executive Daniel Freedman is planning three new divisions to take advantage of investment management opportunities in the divorce, lottery and health pay-out markets. ‘We see growth in the business coming from building teams and are seeing a number of areas we would like to get into,’ he said. Freedman, a member of Wealth Manager’s Nifty 50 list of leading practitioners and a former cover star, said the firm was planning to build dedicated teams in the lottery and divorce markets over the coming year through partnerships with specialists, and by seeking approval for relevant recommended panels and lists. Freedman (pictured) said he hoped the firm would be well positioned to pick up clients in the divorce market, particularly on the back of a decreasing reliance on the Duxbury table method of calculating divorce settlements. ‘More and more people are getting divorced and the sums of money are getting bigger and bigger,’ he added. He also believes there are potential opportunities to pick up clients who are lottery winners, as the traditional hold that accountants have enjoyed on the market breaks down due to the retail distribution review (RDR) and growing regulation. The firm will also look to offer investment management services to people who receive compensation from the health service over the next few years, arguing that as lump sum awards have traditionally been invested in the stock market, there should be scope for multi-asset solutions to come to the fore in the future. Freedman highlights the increase in US citizens residing in the UK as a key growth area for the business, particularly as more wealth management firms withdraw from the market in the face of the incoming US Foreign Account Tax Compliance Act. London & Capital, in contrast, has traditionally provided services to this market, with almost a third of its $3.5 billion under management currently managed on behalf of US clients. The firm not only caters for direct clients but also provides support for advisers and other wealth managers in terms of reporting to the US authorities through services such as its US tax-compliant risk-rated portfolio range. ‘Changes to the rules for US people living outside the US have been a massive issue. We have gone from being a firm that had to go to the US to do business, to now having a massive amount of business on our doorstep,’ Freedman said. With the RDR fast approaching, he also hopes the company’s managed portfolio service, which attracted over £100 million in assets last year, will continue to attract business from advisers looking to outsource investment management.